A music school in Mosul has reopened after ISIL was dislodged by Iraqi forces and militia. 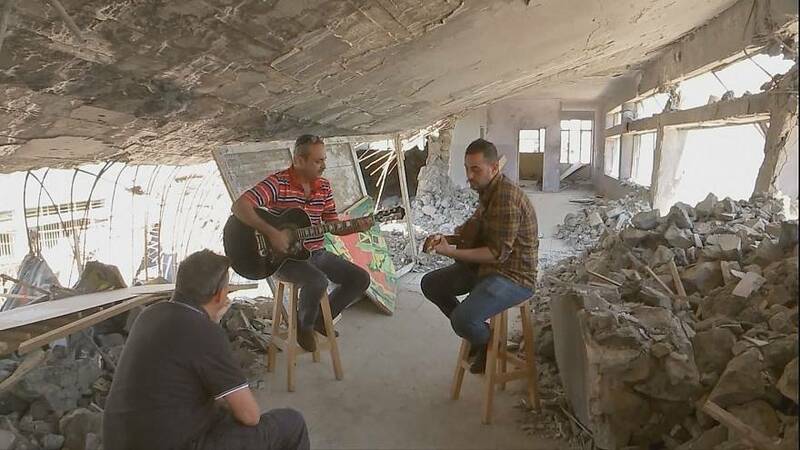 Nabil Atrakhsi had hidden his guitar for the past three years but now is able to pick up where he left off, giving lessons amid the destruction caused by months of bitter fighting. He says he kept alive music by listening to tracks secretly on his mobile phone. The fight for the heart of the city is still underway with Iraqi officials saying around 200 fighters from the Islamist group are making a stand in the old city, near the the medieval Grand al-Nuri Mosque. The mosque was destroyed, apparently by ISIL as Iraqi forces approached.